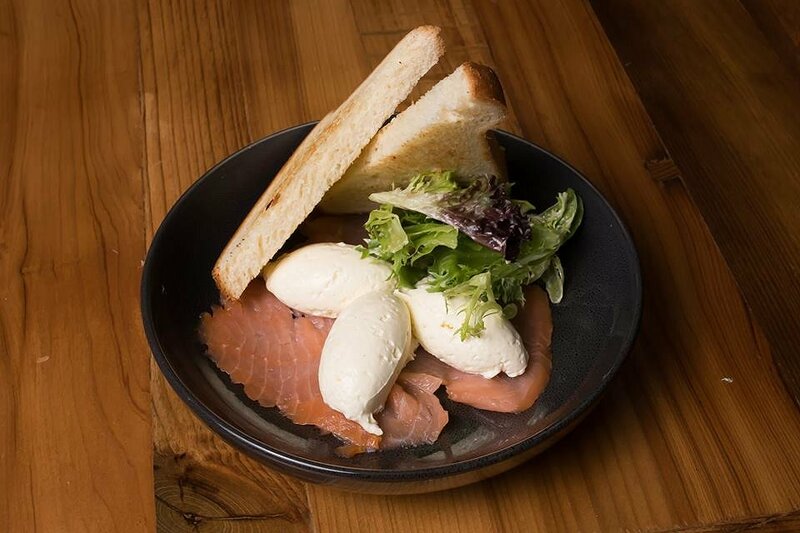 French eatery Maison Clement has opened its doors in Adelaide’s Central Market Arcade, providing an ultimate lunching spot for city dwellers and workers alike. The inspiration for the patisserie’s name arose from Chef and owner Clement Labaere, translating literally to ‘House of Clement’. Together with his wife Rosie, the two have founded a service that delivers authentically moreish French cuisine with impeccable service, making for a wonderful dining experience. Behind its humble facade you will find a quaint yet enticing interior, one that combines aesthetic ambiance with the sweet aroma of freshly baked pastries. Clement bakes all of the patisseries and bread himself, making his service all the more impressive. This deliciously creamy concoction of ham, cheese and béchamel sauce was a delight for the tastebuds. 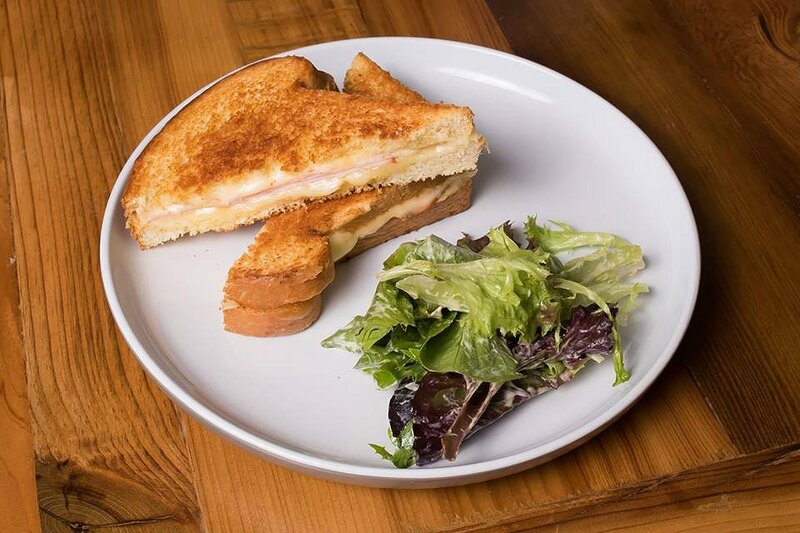 Sandwiched between two slices of toasted house-made bread and served with a side salad, this dish was the perfect homage to its French heritage. Dessert for breakfast? 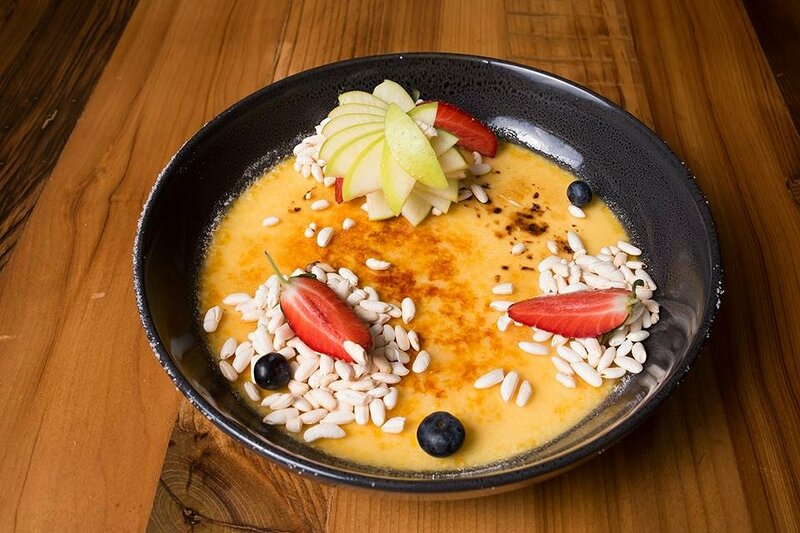 While this special may seem a decadent choice, the subtle sweetness of the custard was well balanced by the addition of fresh seasonal fruit and rice puffs. The superbly caramelised brûlée provided a welcome contrast to the rich custard base, making for a truly unique dish. This rich combination of luscious green pea puree served atop two perfectly cooked eggs, and sprinkled with sesame seeds, was a match made in heaven. 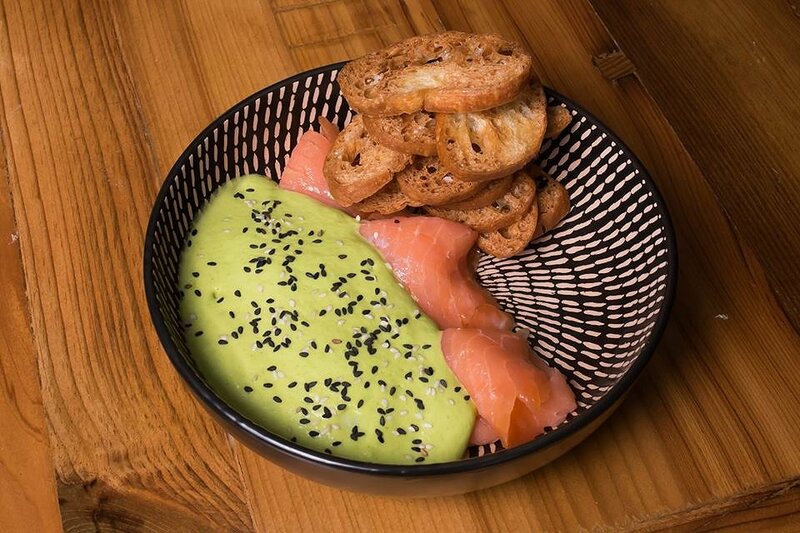 Paired with a generous serving of smoked salmon and crispy croutons, this meal was nothing short of delightful. This mild yet complementary flavour combination was enhanced by the textural diversity of the dish, creating an experience that pleases all the senses. A bed of leafy greens, potatoes, walnuts and red onion made for a refreshing contrast to Clement’s other dishes; but don’t fret, it also offers two slices of his renowned house-made loaf topped with melted raclette and goat’s cheese. A harmonious balance of indulgence and freshness, this dish is ideal for a light yet enjoyable meal. Velvety potatoes served beneath a blanket of gooey raclette cheese made this an exquisite treat. 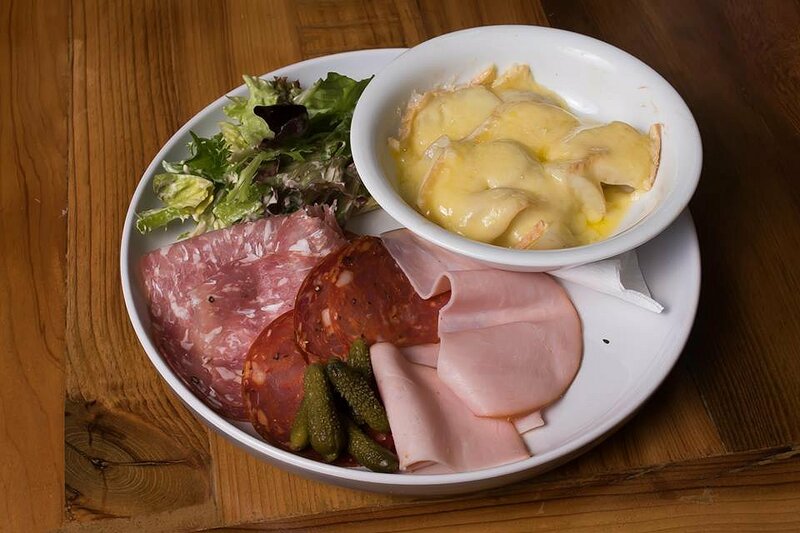 Served alongside a selection of cured meats and salad, this meal would make for a great share plate or to be enjoyed on your own. Luscious goat’s cheese and lemon mousse quenelles provided the perfect accompaniment for the simplicity of the complementing elements. Served with a slice of homemade bread and smoked salmon, this humble flavour combination was nothing short of delightful. If the savoury options don’t take your fancy and you want to opt for something fresh, this is the dish for you. 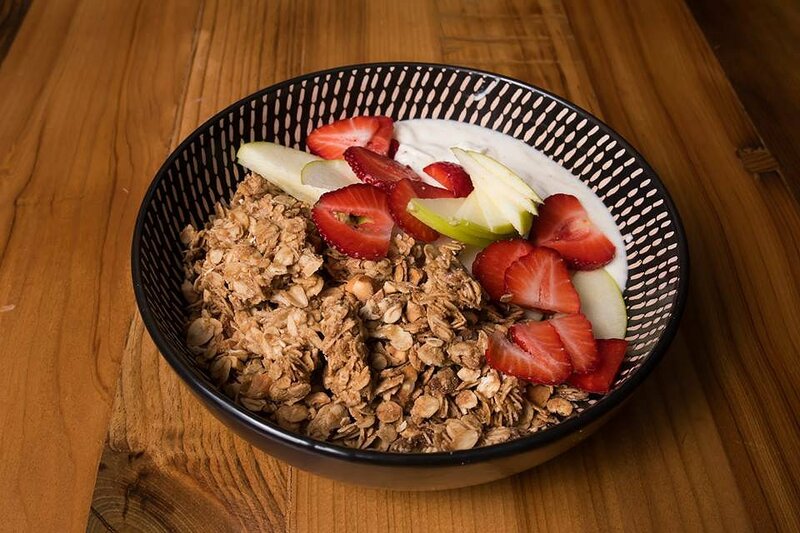 Crunchy homemade hazelnut granola, paired with vanilla yoghurt and seasonal fruits provided a simple yet thoroughly fulfilling breakfast. While many of their dishes are quite simplistic, the richness of flavour combined with complementary textures provides a thoroughly enjoyable experience. 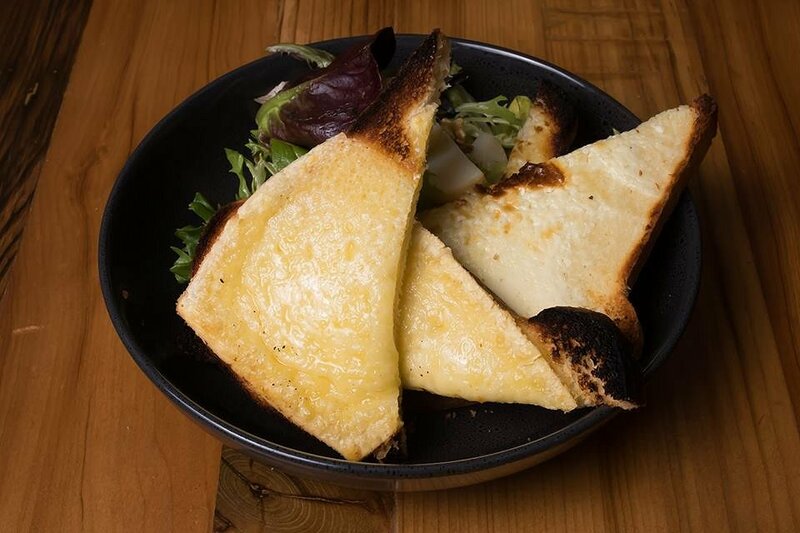 A balanced selection of sweet and savoury dishes ensures there’s an option for everyone; a must try for lovers of French cuisine!